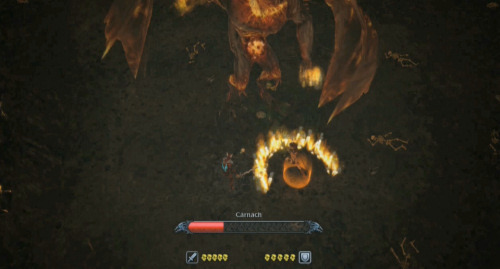 CDV has just released a brand new trailer showing off the Xbox 360 version of Sacred 2: Fallen Angel. The video should give you a good idea of the interface of this incredibly deep PC RPG. It looks like radial menus and quick keys will be the choice of control, which is perfectly fine with me! The other thing the video focuses on is co-op play. Sporting four player co-op in drop-in/drop-out fashion, players can take on numerous quests and battle large beasts like your mother in-law...I mean dragons. Watch the video as the high elf stabs thieves, stabs goblins, and stabs skeletons. Like the PC game, the 360 and PS3 version promise 11 distinct regions in a huge dynamic world. The full trailer is posted below, and is available in our brand new YouTube channel!